Watch Your Back. Watch Your Sales Force. Salespeople are like “hired guns”. They play a unique role within firms. But when things go wrong, hired guns can become loose cannons. There are two ways this typically happens. Recent events provide an example of each. One is the Wells Fargo phony accounts scandal, which broke in September 2016 and is still making headlines. Bank employees opened deposit and credit card accounts for unsuspecting customers. The fraud was widespread—the bank claims to have fired 5,300 employees. The other is a recently released movie, the Founder. 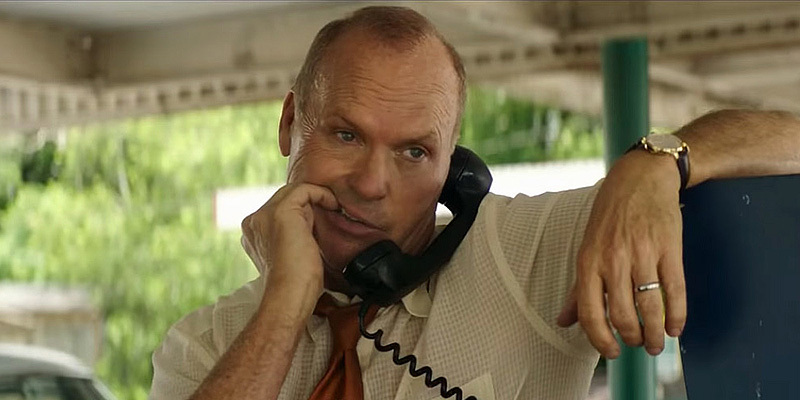 It stars Michael Keaton as Ray Kroc, a former milkshake mixer salesman who built the McDonald’s chain of restaurants into a global powerhouse. This is a story of success, but it has a dark side—an associated disaster, actually. Kroc claimed to have founded McDonald’s. The actual founders were two brothers, Richard and Maurice McDonald. In 1948, they introduced a novel “Speedee Service System” in their San Bernardino hamburger joint. The brothers tried but failed to franchise their idea. Kroc approached them about trying again, this time with him selling the franchise rights. They agreed, and he built a business with annual revenue of $700 million. He also squeezed them out of that business. One man’s success was two brothers’ disaster. Wells Fargo and Ray Kroc are compelling stories. You may be familiar with both. Let’s use them to tease out a specific lesson for risk management. It is a lesson about salespeople. To grasp it, you must understand a little about salespeople—about their personalities. I like working with good salespeople. They exude personality. Not many people can hit the road at 9:00 a.m. and return to the office by 5:00 p.m. with a million dollar order in hand. That is what good salespeople do—the 20% of salespeople who bring in 80% of a firm’s sales, as the saying goes. If you work in an industry whose product is “sold not bought”—life insurance as opposed to groceries, for example—salespeople are essential. A marketing executive once commented to me that salespeople should be a firm’s highest paid employees. He was right—for his industry. I recall one salesperson who closed more sales than all the other salespeople at his firm combined. Let’s call him Jessie. Jessie was awe-inspiring, a whirlwind of activity and closed sales. The firm assigned salespeople to different territories and market segments, but Jessie didn’t care. He sold wherever and to whomever he liked. The other salespeople complained about this for months. Eventually the CEO acted, announcing that salespeople would only be paid commissions on sales they made in their own territory and in their own market segment. Jessie ignored him and kept right on selling as before. How did the CEO react? He backed down and continued to pay Jessie commissions on all his sales. One of the worst things that ever happened to that firm was Jessie leaving for a competitor. Revenue dried up and the CEO instituted draconian cost cutting. A year later, Jessie announced that he was unhappy working for the competitor and was returning. No one said a word about his disloyalty, as they unrolled the red carpet. a single-minded focus on closing sales. Later he casts aside his wife. He casts aside his business partners. He casts aside the eager franchisee whose wife he pilfers. You can give a salesperson an annual review if you like, but it is irrelevant. You both know that earned commissions is what matters. If a salesperson’s earned commissions are high, everyone is happy. If they are low, that salesperson will soon be leaving—voluntarily or otherwise. designs promotional materials and a sales process for the sales force to use. ensuring salespeople don’t sell in ways that are illegal, unethical, reckless or otherwise counterproductive. credit losses, regulatory intervention, lawsuits, lost customers, or damage to the firm’s reputation, on the other. In this regard, marketing has much to do with risk management—balancing risk vs. reward. Salespeople were compensated merely for opening accounts, regardless of whether customers ever transacted through those accounts or whether the accounts were profitable. Salespeople were under extreme pressure, from both the marketing department and senior management, to open accounts. CEO John Stumpf, who lost his job over the scandal, liked to quip “eight is great”, meaning each customer should have eight different accounts with the bank. All this went on for years. Wells Fargo knew there were problems, as customers complained. Apparently the bank addressed individual incidents. What they should have done was fix the underlying problems with marketing. Since we are on the topic of movies, let me recommend two classics that vividly depict how marketing can shape a dystopian sales environment. One is Glengarry Glen Ross (1992). The other is Boiler Room (2000). Both movies will teach you more about the dark side of marketing than anything I can say in this article. But if you care about your psychological well being, please don’t binge watch them back-to-back. If you prefer to learn from historical examples, look no further than the 2008 financial crisis. At a host of financial firms, aggressive marketing spawned destructive sales practices—whether it was mortgage originators pushing liar loans or investment banks pushing toxic mortgage securities. Want to learn more? An excellent book is All the Devils Are Here by Bethany McLean and Joe Nocera (2010). I mentioned there were two ways salespeople can devastate a firm, so let’s turn to Ray Kroc. Brothers Richard and Maurice McDonald had a dream of franchising their “Speedee Service System”. Their association with Kroc was a disaster for them personally because he stole their dream. The fact that he was so successful with that dream only made the loss more galling. By granting Kroc full responsibility for all aspects of their franchising initiative, they made him more than a salesperson. Kroc was architect and head of the operation. They failed to supervise Kroc, relying instead on an elaborate contract to protect their interests, as they perceived them at the outset. Taking a salesperson out of sales and giving him or her leadership responsibilities is dangerous. Why? Because someone with a “hired gun” personality is not well suited for nuances and balancing-of-goals that accompany corporate leadership roles. I’m not talking about salespeople who transition to other roles after failing at sales. Those people are not a concern. They probably didn’t have a salesperson personality type in the first place. The problem is successful salespeople who transition. And the more successful they were at sales, the more dangerous they are likely to be. I once had a front row seat when the CEO of a firm promoted one of his top salespeople to be head of marketing. That was a rookie mistake. The salesperson kept right on selling and earning commissions for himself. As head of marketing, he discarded existing sales policies and marketing material, with their safeguards and disclosures. He and his fellow salespeople put together their own marketing materials over drinks after work. They had a secretary type these up and make photocopies they could distribute to prospects. Top salespeople don’t need glossy brochures. Earned commissions shot up. The CEO was pleased. The salesperson—I mean the new head of marketing—sat down with the small marketing staff he had inherited and told them all to get sales training. When they were done, he told them to hit the road and start selling. Those who did not comply were let go during the next round of layoffs. Assigned to head marketing, the salesperson instead closed it down. If a firm is thinking of transitioning a successful salesperson into a leadership role, here is my advice. First of all, don’t. If you can avoid it, don’t transition a successful salesperson into a leadership role. Doing so is rarely worth the risk. If you proceed anyway, make sure the salesperson, in his or her new role, is closely and effectively supervised. Structure the individual’s responsibilities to be suitable for someone with a salesperson personality. Other responsibilities can be assigned to someone else. After they recruited Kroc, the McDonald brothers both kept on working in their one restaurant, flipping burgers and supervising staff. Instead, one of them should have left the restaurant and became the full-time architect and head of the franchising operation. Kroc should have been just a salesperson reporting to that brother. Occasionally, successful salespeople rise to become CEO of their firms. This is more common at smaller firms than larger ones. It is more common in industries that sell large ticket items. The expectation is that, as CEO, the elevated salesperson will be an effective closer on large sales. While I understand the motivation, all the concerns I have outlined above apply. In such situations, it is important to have an effective c-suite and close supervision by the board. by stepping into leadership roles outside of sales. I have often said that risk management is about people and understanding what makes them tick. You may have studied the personality types of traders or CEOs, and how those personality types can be destructive. Understanding the personality type of salespeople is just as important. Successful salespeople are like heroes in a Greek play. Their achievements can be magnificent, but in their personalities lie the seeds of tragedy. Now let’s turn this over to you. If you have insights or “war stories”, please comment below. Or share this post with others on social media. Very interesting post and from a totally different prospective than how I have been looking at Wells Fargo. As a former ethics officer, I have mostly been looking through that lens. Didn’t the board receive whistle-blower reports, reports about complaints from customers, reports on firings? Nice to get a different and very informative view. Thanks. My perspective stemmed from my purpose of illustrating how the personality type of salespeople can be destructive. The disaster at Wells Fargo could have been averted if Marketing had intervened with Sales, of if the CEO had intervened with Marketing, or if the Board had intervened with the CEO. Any one of those parties could have saved the firm. The fact that all looked the other way, and even contributed to the bad behavior, is troubling. But it is not uncommon. Marketing, the CEO and the Board are all safeguards, but they are not independent safeguards. If one fails, the others are more likely to fail as well. This is because they share a common corporate culture. And part of that, getting back to your comment, is a more-or-less common business ethic.